(English) Dr. Mendoza-Bárcenas obtained the title of Electronic Electrical Engineer by the Faculty of Engineering of UNAM, as well as the degrees of master and PhD in Electrical Engineering, with specialization in instrumentation by the UNAM. He is currently research professor at the Aerospace Development Center of the National Polytechnic Institute. His current areas of focus are the design and integration of experimental payload modules for small space vehicles, as well as electronic instrumentation for suborbital missions, validated on board stratospheric probes. 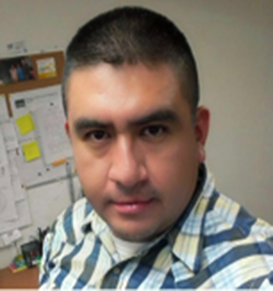 He is the technical manager of the AEM-CONACYT project 262899 and is leader of the Aerospace Instrumentation Group, in collaboration with academics from CCADET and the Institute of Engineering of UNAM.